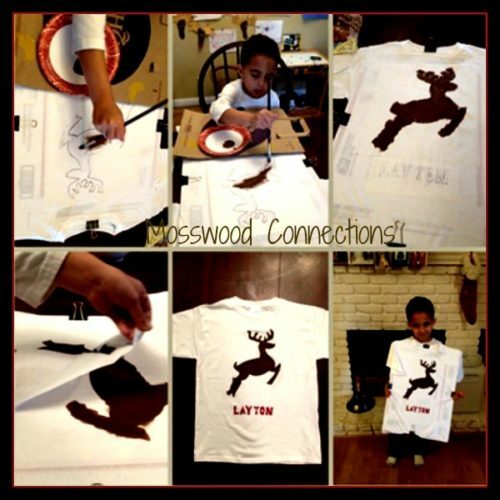 T-Shirt Stencils are an easy way to decorate t-shirts for any occasion. As we mentioned in previous t-shirt activities decorating t-shirts is an outstanding activity for play dates and other groups. It is also a fun craft for the kids to make as a DIY gift. As part of our lessons on perspective taking and social skills, we encourage the children that we work with to think about others, particularly on special occasions and birthdays. If you make these t-shirts for somebody else then you can add in social skills to the list of target skills. But if the t-shirt is made by the child for themselves there are still skills that they are working on while having fun being creative! We like this activity so much that we have made many holiday shirts like this one for Christmas. Have the child choose a simple picture that they like. You can use stencils for an easy way to trace the picture but if you don’t have a stencil that you like, you can easily cut one out from a magazine and trace. You can also find easy templates on the internet. Lay the waxed paper over the picture. Cut out the INSIDE of the picture. If your child is not ready to do the cutting by themselves try helping them cutting hand-over-hand with them. If that is still too hard then the adult can do the cutting. 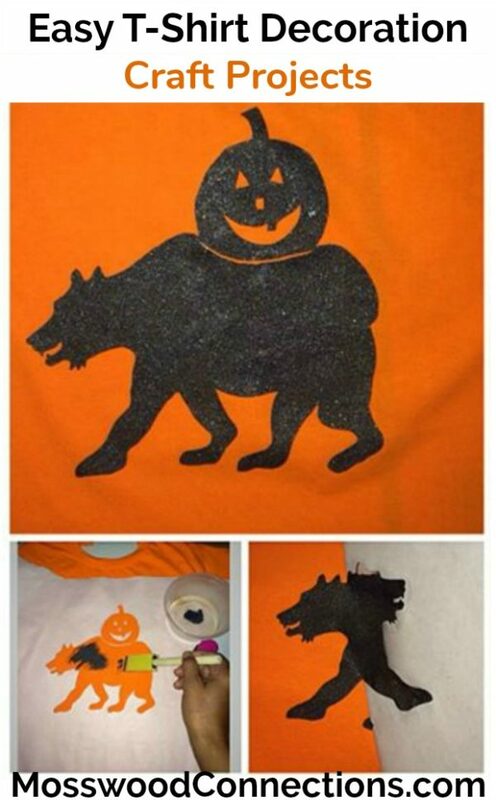 Have an adult iron on the wax paper onto a t-shirt. Put the t-shirt on a piece of cardboard. Use a clip to keep it from moving if necessary. Blot or dab paint in the space that was cut out. Be careful not to use too much paint. Allow the t-shirt time to dry. Take off waxed paper. Wear and enjoy your beautiful decorated t-shirts! Punch-Out Pizzazz from Martha Stewart shows how to make iron-on transfers with your craft punches. Make an Appliqué Mickey T-Shirt from Disney Family. A super simple sandpaper printing technique from Alpha Mom that will keep your kids busy and make one cute shirt! 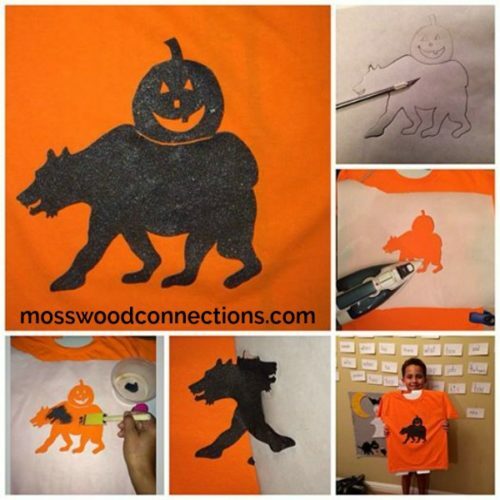 Hope Studios shares a tutorial for bleach stenciling your t-shirts.